Skin tags are small skin growths that protrude from skin. They can grow on any part of the body, but more often grow on areas that have restricted movement such as the neck and armpits. The good news is that they are not normally contagious or painful. In fact, most people are just troubled by its unsightly appearance, but depending on where it is, this can make a huge impact on your self-confidence and general day-to-day life. Skin tag removal can be very quick and pain-free procedure, however, due to the fact that they don’t cause immediate harm to your health, the treatment is not available under NHS services. 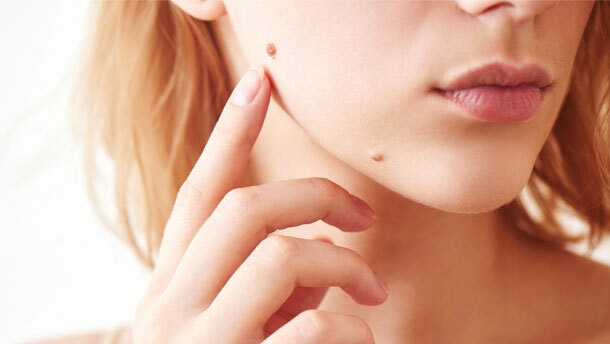 At Health and Beauty Bournemouth we use a highly effective technique for skin tag removal, It is quick, effective and with very minimal, if any, scarring. The procedure is so simple in fact, that it can be done on the day of consultation, once you have been given the full information and everything you need to make an informed decision. The actual treatment depends on the individual blemish and its size, but the two most common treatment options are Radio Surgery (using radio frequency waves) and Surgical Removal (a minor operative procedure). Once we’ve sat down and assessed the blemish properly, and your own individual preferences, we can determine which treatment will be best for you. Skin blemishes and growths including moles, cysts, warts and skin tags can leave you feeling self-conscious about the way you look, and with treatment no longer available on the NHS we see it as our duty to provide the same safe and effective treatments at our modern clinic. Don’t spend the rest of your life covering up your skin tags, contact Health & Beauty Bournemouth, and speak to someone about how they can help rid them for good.